Everyone in the video production industry is by now surely aware of the rise of video gaming events and eSports. This industry has blossomed into a multibillion-dollar global phenomenon and continues to evolve and capture viewers in this fast growing segment. The growth is most easily seen in the distribution sector with the acquisition of TwitchTV by Amazon, YouTube spinning up a branded gaming channel, and most recently Microsoft’s introduction of the Mixer platform. These distribution giants are uniquely situated to explicitly handle the huge amounts of content devoted to gaming and gaming entertainment. Let’s look at this activity from a broadcast video perspective. 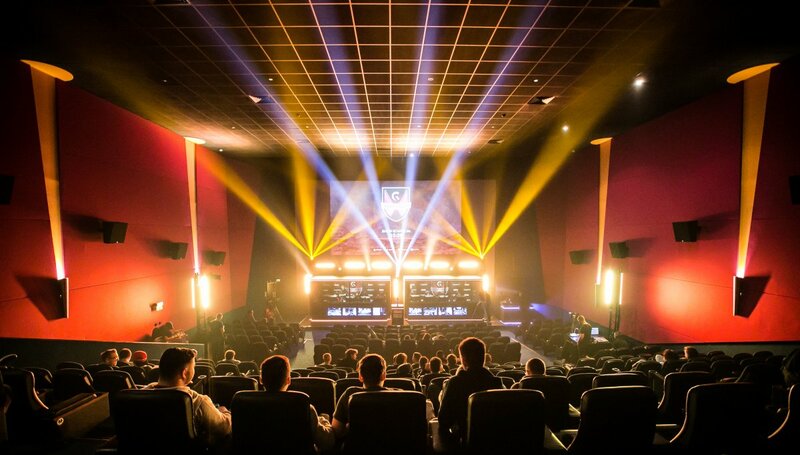 eSporting events are well funded, well staffed, and tackle the largest viewing audiences. Riot Games, which produces the popular League of Legends World Championships, averaged 4 million concurrent viewers and with 334 million unique views over a 4-week period in 2015. eSporting events have all the elements typically found in traditional sporting event broadcasts: game play and opponent interaction, live pre- and post-game interviews, pre-packaged stories enhancing the drama of competition, commentary analyzing player performance— all produced and delivered to a live viewing audience. Even with all this audience engagement data, high fidelity image and sound quality reign supreme. Many viewers of eSports events not only watch the games but also play the games themselves. What makes these viewers unique is that they know exactly how uncompressed footage of their game should look. This reveals a major distinction from the traditional live-sports-television viewer who may have never seen an uncompressed SDI video feed or stepped onto a professional field of play. The gaming audience, comprised of gamers, can spot quality issues very quickly and are often very vocal about pointing out shortcomings. Another distinctive aspect of eSport events is the potential for massive numbers of input sources required for the event. A variety of cameras is generally used to cover crowds, players, arena space, backstage, commentators, and pundits. In addition to this, there could several dozen gaming PC’s, or better put, “gaming rigs,” that need to be connected into the video production hub. The gaming content must be high quality, and, due to fast motion, 1080/60p has become the minimum video format and resolution used in eSports productions. These requirements pose real challenges for traditional broadcast video producers and production designers. 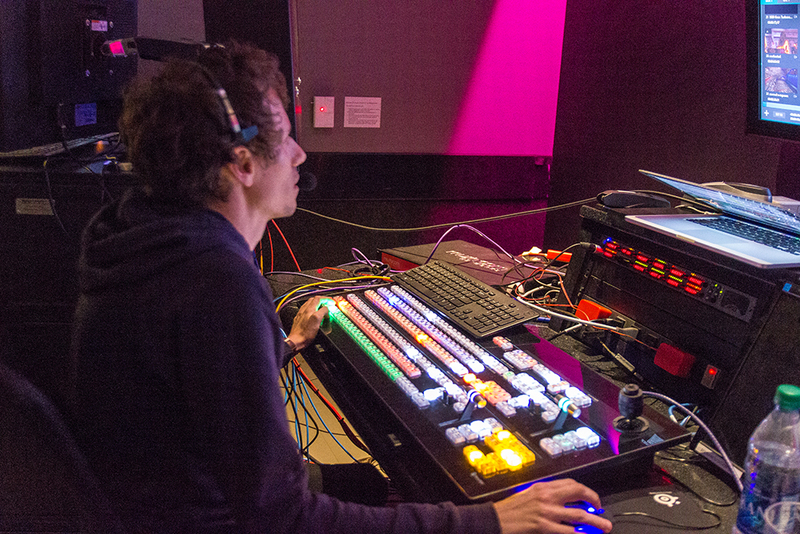 Broadcast production equipment based on SDI video connections requires very rigid signal pathways and switching equipment that use the same video resolution and frame rate. To synthesize the various video signals from cameras and gaming rigs, massive conversion efforts are typically required to meet the demands of the video switcher. Even if the switcher and infrastructure are 1080/60p compliant, the cost of the number of sources needed to adequately cover these events makes it prohibitive for all but those with the largest budgets. Beyond the cost hurdle, converting signals and extensive cabling increase the potential points of failure. Depending on how conversion needs are approached, this may even affect gameplay as some gamers view specific resolutions and frame rates as part of their competitive strategy. With such challenges, it seems the only solution is complex systems that come with high dollar cost. Fortunately, the digital age and the move to IP networks in live video production is helping to eliminate these frustrations in eSports production. The gaming audience, comprised of gamers, can spot quality issues very quickly and are often very vocal about pointing out shortcomings. Computer-based video switchers that have software-driven production capabilities bring a unique advantage. Internet Protocol (IP) over networks is the way that software communicates with software, and as a result, using it alleviates difficulties such as scan conversion, cabling, disparate video resolutions and frame rates. Solutions from NewTek approach live video production from a standpoint of software, resulting in systems that reduce complexity while making it affordable. The key to software-driven live production is a video transport protocol developed by NewTek called NDI or Network Device Interface. NDI allows devices to share video across standard networks. What makes NDI unique is its ability to identify and communicate with all devices on the network and then encode, transmit and receive many streams of high quality, low latency, frame-accurate video and audio in real time. Additionally, NDI is bidirectional, giving receiving devices the ability to communicate with sending devices and include metadata, tally, timing, and control information. The result delivers entirely new workflow possibilities that just are not available with traditional broadcast video equipment. Twitch experienced this directly at their annual TwitchCon conference in October of 2016. 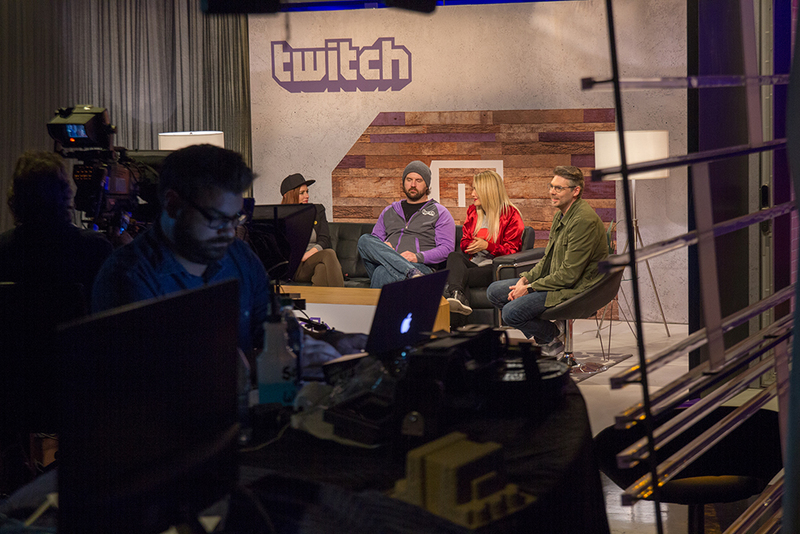 Using NDI along with the NewTek IP Series production switcher, Twitch was able to incorporate video sources from HD-SDI cameras, gaming machines, gaming consoles, and graphics systems across the network. This resulted in both flexibility and convenience of production, allowing the team to focus on the story of the event as it unfolded. eSports has come into its own as an industry, but one that allows no room for many broadcast techniques like interlacing, fixed frame rates, and common angles for action. Scan conversion is still a necessary component, but with the advent of new and flexible technologies like NDI, eSports productions have a solution today, and they have a very bright future. 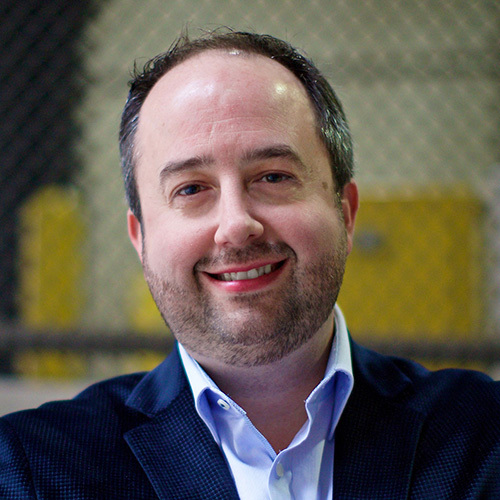 Will Waters is NewTek’s Director of IP Workflow for NewTek and a professional Engineer, who specializes in broadcast production workflow planning, product configuration, marketing direction, and strategic messaging. He has been intimately involved in a number of new product ideas and has been closely aligned with customer needs and requirements. He's held sales engineering and top-level support positions at NewTek as well, prior to which he was a systems designer and integrator, designing large-scale production video systems and streaming solutions.